Want to get gorgeous, straight teeth without anyone noticing? 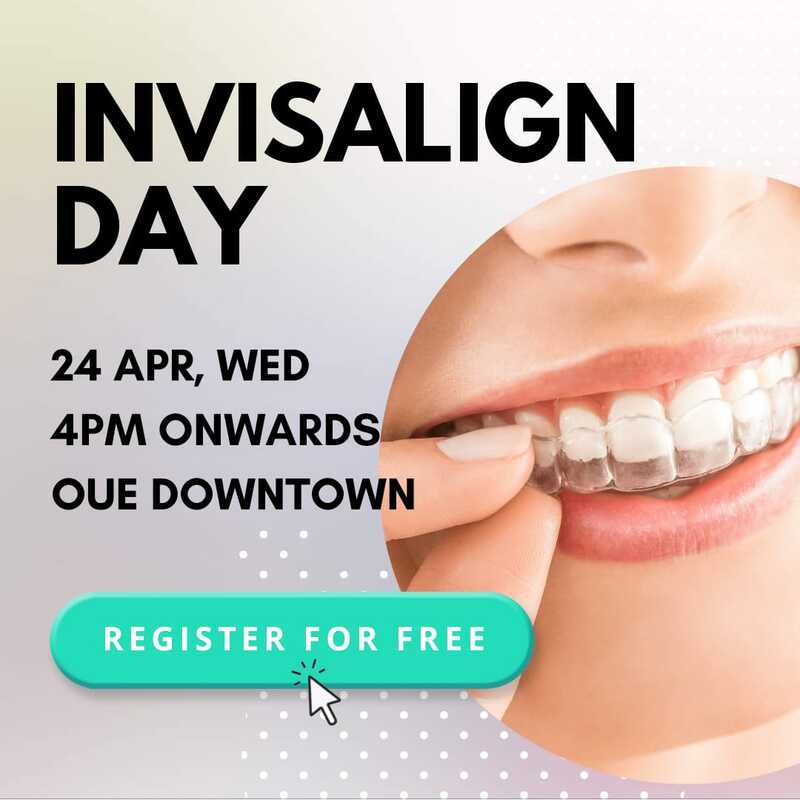 Learn all about invisible braces with Dr Stephanie Yap on 24 April, Wednesday at OUE Downtown during a 1-to-1 session. Register today to see how your new smile will look like after invisible braces – you get to see this immediately during the session! Pose all your questions to Dr Yap , who is trained and experienced in helping patients achieve their desired smile with Invisalign. What will I look like after getting invisible braces? Are the results the same as traditional braces? What are the pros and cons in choosing invisible braces? Are they really going to look invisible on me?